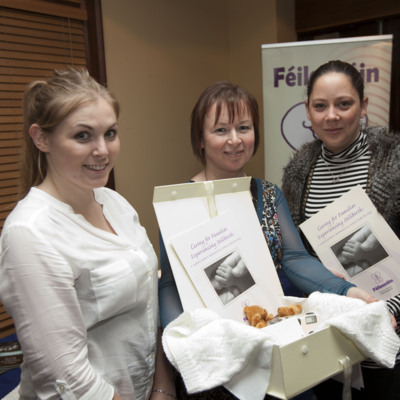 Representatives of 'Feileacain: Stillbirth and Neonatal Death Association of Ireland' with a 'Memory Box' at the 2012 annual bereavement public information evening. 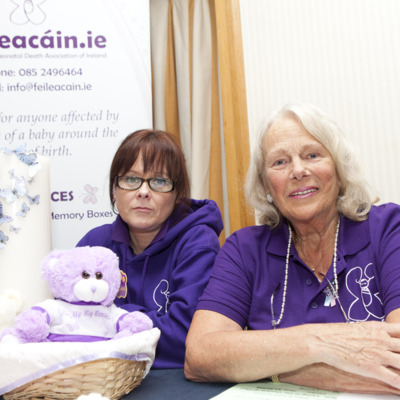 Representatives from Féileacáin at the Irish Hospice Foundation 'living with loss' public information evening. 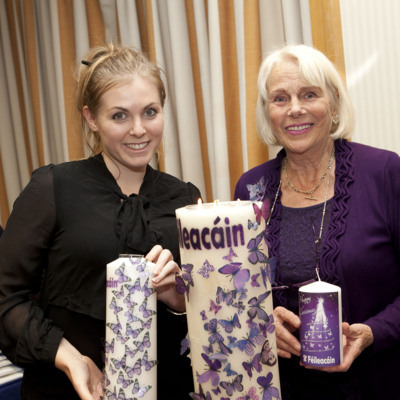 Representatives from Féileacáin distribute information during 'Living with Loss', the Irish Hospice Foundation Public Information Evening on November 05, 2015.